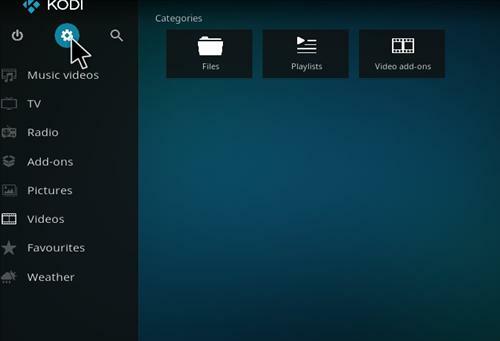 Kodi 17 Krypton has changed from the old interface to a fresh new look. 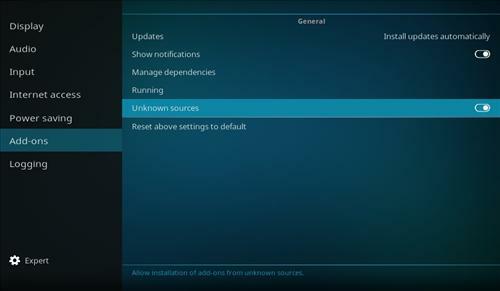 It also has changed some options including now needing to Enable Unknown Sources to install add-ons. It is a quick and easy to do, here is a step-by-step guide with pictures. 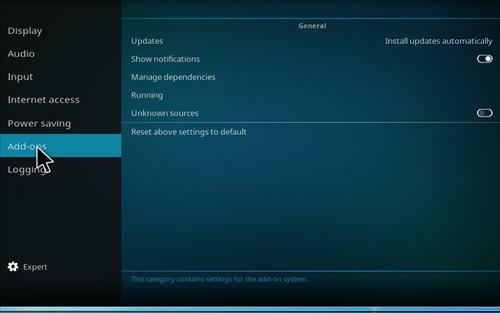 Step 3) Expert Mode is needed and can be changed by clicking the box. Add-ons will now be able to be installed. 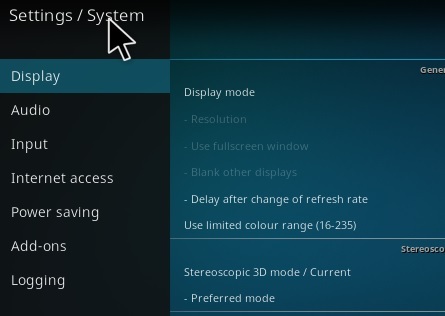 To go back to the main menu right click a empty space on the screen, or click the top left Settings / System. What happen to Malchus repo it wont work the pinoy teleserye anymore which is I watch for pilipino live streams.please help. 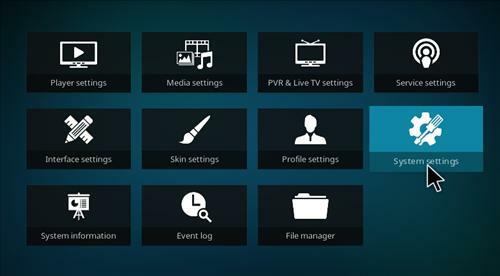 power off kodi after you make the setting, change. I tried installing no limits magic 3 times each time after the reboot Kodi cam up blank, and the setting did not stick. i made the setting change and powered off kodi and powered it back on and the setting took. then no limits magic installed. the download for no limits magic takes over an hour due to server load, you can imagine how much time i wasted and how much more bandwidth/server load I used doing it 4 times. Couldn’t download streamhub on kodi 17.1 following you instructions! Every time i try Exodus,i get the menues buut films say Empty. Tried everything i can think of. My screen doesn’t look anything like this. Can’t find unknown host anywhere. Can anyone help me? Box is less than a year old. 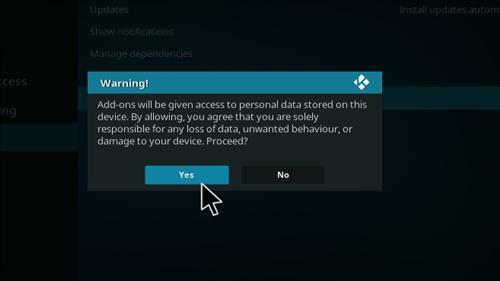 Every time I get to the step “unknown source”, I get the warning, I push yes, then go to the zip. But when I get to that stage it says that it has been disabled. I can’t finish the download for Exodus. What to I do? 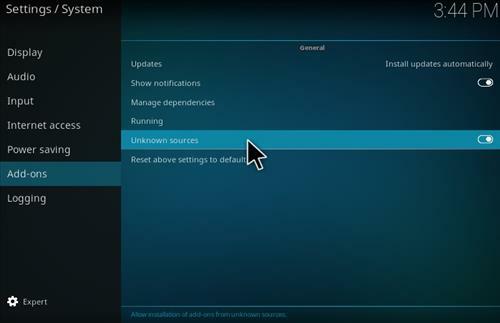 My system settings screen doesn’t have a expert tab, only logging, what is the protocol in this case?